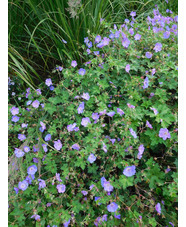 This unlovely name Gerwat' is the registered cultivar name of a dazzling new hardy geranium. 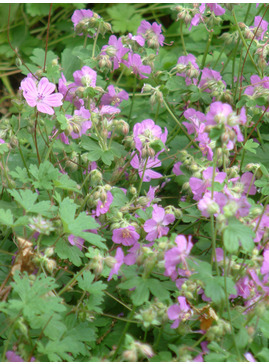 It is better known as Rozannes Cranesbill, so I prefer to write Geranium Rozanne, named after Rozanne Waterer, who, with her husband, spotted it in their garden. 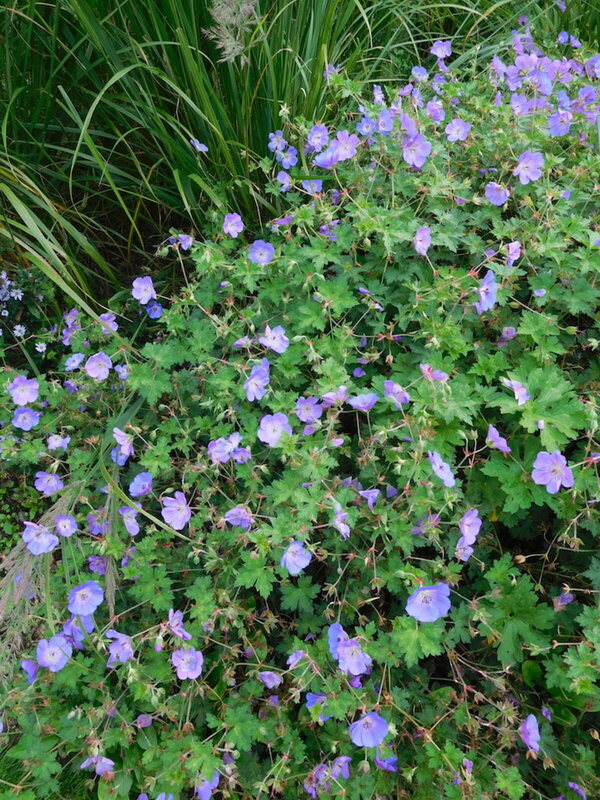 It is a hybrid of G. himalayense and G. wallichianum 'Buxton's Variety', producing large (5 cm across) intense violet-blue flowers lit with large white centres. 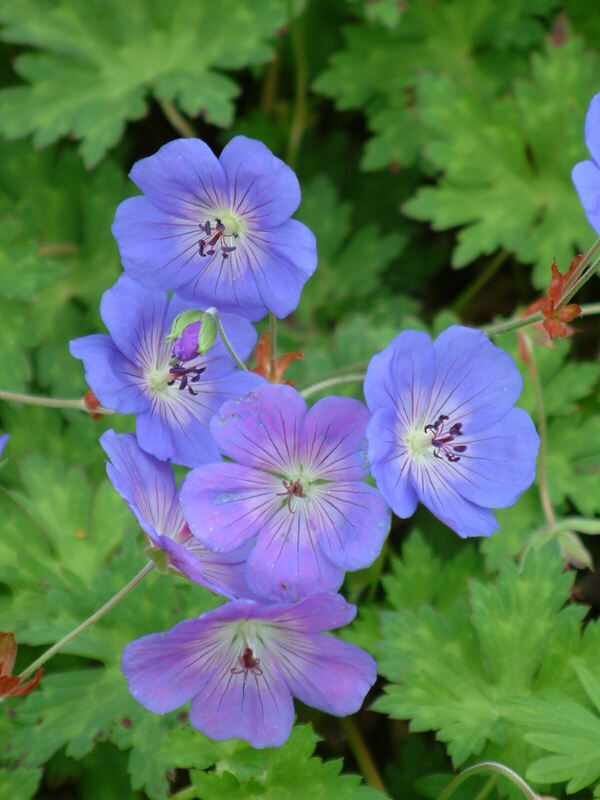 In flower from late spring onwards, it takes a rest in late summer, but a trim then will check its sprawling habit and induce a fresh crop of blooms well into late autumn. 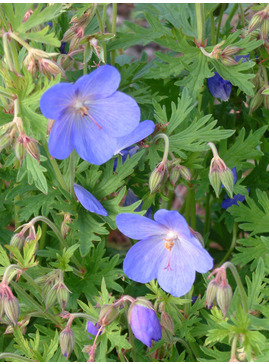 Planted at the border edge, in sun or part shade, it stops every passer-by. This plant is a delight. It is very pretty and flowers all through summer to the first frost. It is also very co-operative. 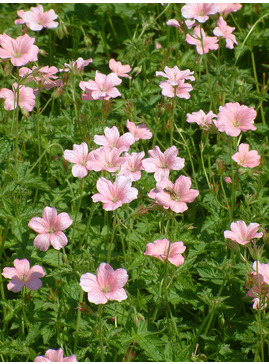 It likes any soil - acid or alkaline, sandy or clay. It is happy in full or partial sun. It likes rain but will tolerate drought. The only thing it does not like is having wet feet. 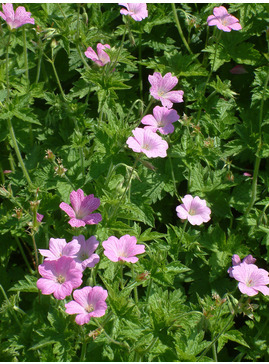 It is a hybrid so does not self seed.